A GRIP ON SPORTS • There is something uplifting about the month of May. New growth maybe. Or the promise of spring warmth finally fulfilled. But there is no May Madness or the like to keep you interested. In reality, it’s a pretty quite sports month. Read on. • What does May lack? 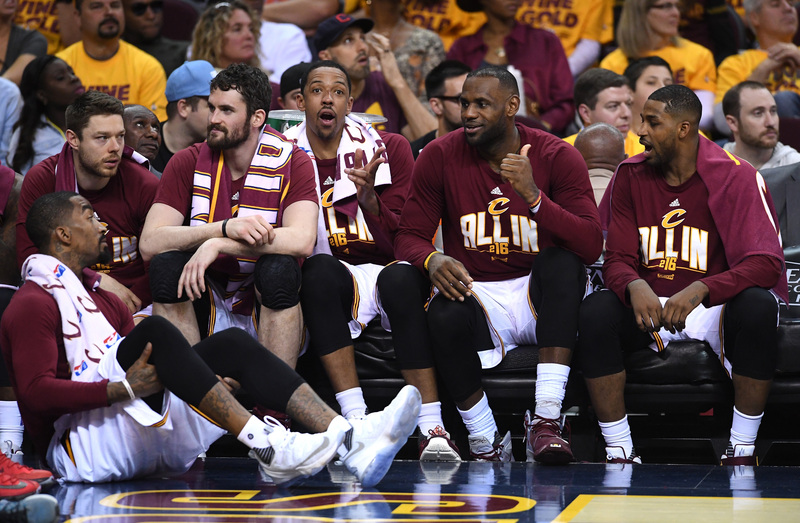 Exciting NBA playoffs – those wait until June. An NHL championship series – ditto. Baseball pennant races – those wait until at least August. A major golf tournament. Or the finish of a tennis major. All of those things could enliven a month that is mainly the first real chance to get your yard in order, your walking shoes reacquainted with pavement and your jump shot down for Hoopfest. Want to know what May has, besides later sunsets and the hope of summer just around the corner? Horse racing. The Kentucky Derby kicks off the month. 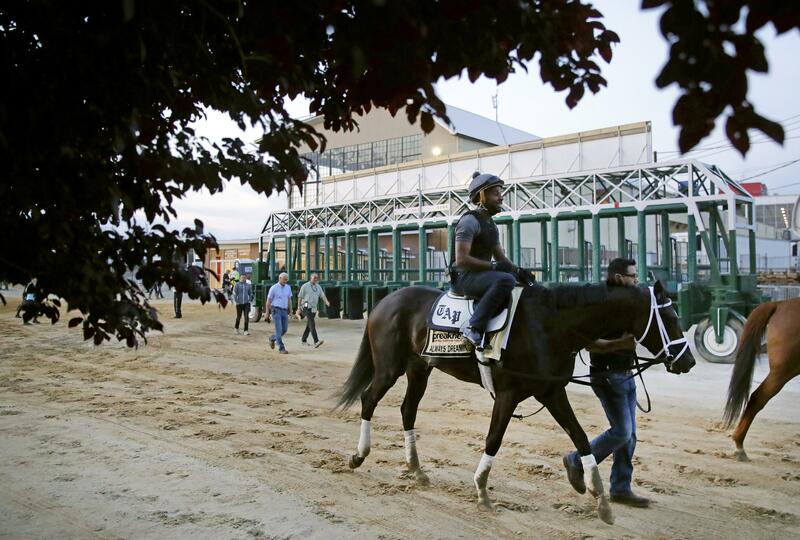 The Preakness fills the second-to-last weekend’s Saturday. Oh, that would be tomorrow. I know. Horse racing, once the sport of kings, is no longer in favor. It’s moved to the back of the trailer along with boxing, two of the big three in this nation 100 years ago. That’s not comparable, sure, to the days of Seabiscuit or Secretariat, but it’s the state of the sport in 2017. So we wonder if Always Dreaming can win the second leg, adding Baltimore’s Preakness to its Kentucky Derby win of a couple weeks ago? Or will Classic Empire derail those plans? Or will my choice, due to its apropos name, Senior Investment, surprise everyone? We will know the answers tomorrow afternoon. And, if Always Dreaming happens to win, start thinking about another Triple Crown winner. That’s down the road. In New York at the Belmont. WSU: The Cougars most famous basketball alum these days is Klay Thompson. He’s had a rough go of it in these NBA playoffs. … USC has reportedly sold the Coliseum naming rights to United Airlines. Let the jokes begin. Gonzaga: The Bulldogs need to sweep their three-game series with BYU to win a share of the WCC regular season baseball crown. They started right last night, winning 10-2 behind Eli Morgan’s pitching. … John Blanchette’s column today is on a GU steeplechaser, Troy Fraley (pictured), who has the nation’s best time this year, even if the Zags don’t have their own track. … The women’s basketball program signed a junior college shooting guard yesterday. Jim Allen has the story. … NBA mock drafts have Zach Collins going anywhere from 10th to 14th, the spot he lands in this one. CCS and NIC: The two schools are hosting the NWAC softball tournament this weekend. Empire: A flight to Colorado is followed by a 45-36 loss to a team the Empire had already defeated twice before. Think maybe the logistics of playing on the same day you flew in had something to do with it? Preps: You begin a golf tournament knowing you are competing for one of four spots to move on. You finish fourth. And don’t move on. Why not? Jim Meehan explains in this story on the 3A regionals. … The Idaho state baseball tournaments are underway. … Greg Lee catches us up with all the major coaching changes at local schools. Mariners: A 4-0 lead gone in, seemingly, an instant. The M’s would fold, right? Nope. Dave Nichols has the particulars in his Mariners Log. As per usual, the links are at the bottom of the feature. Seahawks: You still have questions? Bob Condotta has mores answers in the Times. 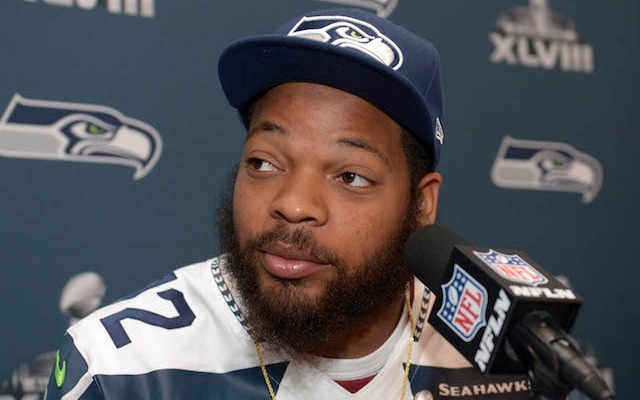 … So who do you have in the Michael Bennett vs. Stephen A. Smith feud? Ya, me too. … Eddie Lacy can earn a lot of money for carrying the football well. … The Rams and Chargers new home is delayed a year due to rain. Yep, rain in Southern California. It's never supposed to rain there, is it? Published: May 19, 2017, 7:47 a.m.